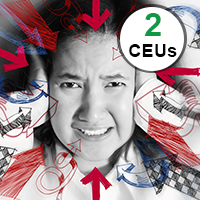 ​Continuing Education for Healthcare Professionals | ClickPlayCEU | Continuing Education Units for RNs, LVNs, Psych Techs and Others. Multimedia continuing education courses that rock! Get the high-quality continuing education you deserve as a healthcare or human services professional, right from the comfort of your couch! Accredited Continuing Education for RNs, LVNs, Psych Techs and Others! Loved the videos because it makes the learning process fun, entertaining and easy to follow. Emotional and psychological trauma doesn't discriminate. Trauma is so common and pervasive in our society that we must all have an approach to care that is informed and rooted in the principles and tenets of Trauma-Informed Care. Start learning now how to implement Trauma-Informed Care. Communication is difficult. However, the lives of those we serve depend on us being optimal communicators. According to the Joint Commission, communication has been cited as a root cause in nearly 70% of errors in healthcare and human services settings. 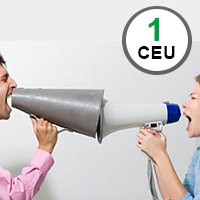 Learn now about mastering effective communication.